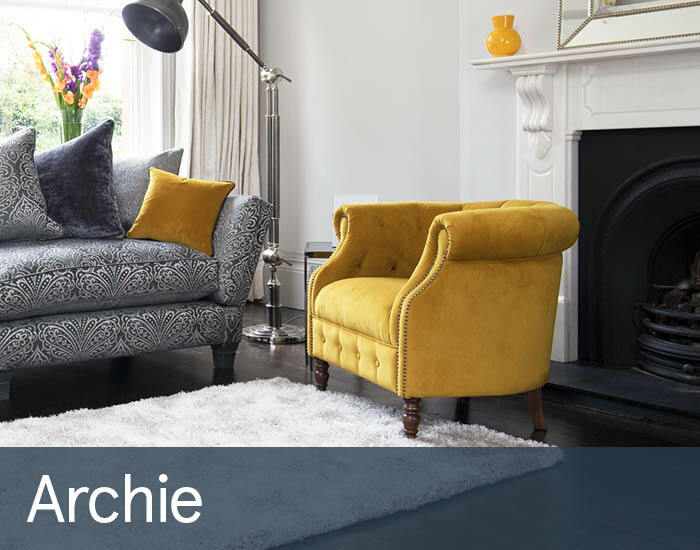 The Archie tub chair provides the perfect accent to any seating arrangement, whether it’s to complete an eclectic look or provide a well needed seat in tight spaces, Archie can provide the solution. Its attractive curves, compact proportions, and luxurious deep buttoning can be neatly upholstered in a wide array of fabric and leather types. These include vintage leathers, neutral linens and luxe velvets. If your taste is contemporary or more towards the classics, Archie can be tailored to suit.